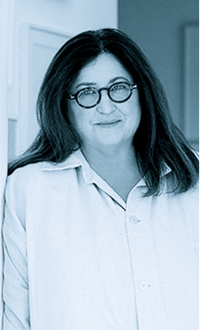 Tricia Foley, principal of Tricia Foley Design in New York, specializes in all aspects of home design and restoration. Known for her simple, classic style, her work includes residential design, magazine editorial, book publishing and branding, She is now putting this experience to work on historic preservation projects in exhibition design and 19th century house restoration. Clients have included The Colonial Williamsburg Foundation, Gettysburg Foundation, The American Folk Art Museum, Wedgwood, Ralph Lauren Home, Waterworks, Target, Bloomingdale's and Macy's Home Stores. She has authored 10 design/lifestyle books, from Having Tea and Williamsburg Style to At Home with Wedgwood: The Art of the Table. A former magazine editor, her work has been featured nationally and internationally in magazines such as House Beautiful, Country Home, Victoria, Elle Décor, Southern Accents, Architectural Digest, Martha Stewart Living, The New York Times, House & Garden UK, Country Homes & Gardens UK, Elle Decoration Italy, and Skona Hem Sweden. Television appearances have included HGTV, The Discovery Channel, and Fine Living. The restoration of her 1820's farmhouse on Long Island is the subject of her book, Life/Style: Elegant Simplicity at Home. Her latest book, Mary L. Booth: The Story of an Extraordinary 19th-Century Woman was published in January 2019.